I had the pleasure of photographing the Johnson family at a Minnetonka Park on a beautiful Friday morning. I’ve been photographing them since the kids were babies and it’s always such an honor and pleasure to be able to watch them grow. It was even more special this time because Grandma had traveled all the way from Ohio to visit! Can you believe it’s November already? The holidays are fast approaching. So many things to do! Never fear….Holiday Mini Sessions are here! Sarah Pierce Photography will make it quick and easy for you. These mini-sessions are designed to get you in and out the door in 30 minutes. About a week after the session, you will enjoy a custom slideshow and a beautiful gallery of images to choose from–right from the comfort of your own home! You will have 5 days to choose your favorites. You’re going to want to book your session very quickly as cards take time to create and print and you’ll want them in plenty of time for the holidays. Please click the photo to schedule your session online! Please note, I am only doing a limited amount of these sessions this year. I met up with this beautiful family at Lake Harriet yesterday. It was sunny morning with just a hint of fall in the air. We kicked off the session only to be engulfed by swarms of gnats! But after we conquered them, all was well and we continued. Maddie was an absolute doll. She was wearing a pretty flowered dress complete with matching socks! She looked so sweet posing with the pink flowers behind her. And her parents are so kind and fun to work with. This was my second session with them and I hope it’s not the last. I love watching my clients grow and change. It’s such an honor to be able to document their lives. Here’s a sneak peek. And his big brother sure loves him — it was sweet to see the connection. I get a lot of inquiries from potential family, child, and high school senior clients who would like all of the images on a disk. With the exception of business portrait headshots, I don’t offer digital images without a print purchase. I believe in the importance of a good quality, tangible portrait. It’s my job as a photographer to provide you with something you can hang on your walls or put in your family albums. I hope you take a minute to read this. There is so much more to what I do than just pressing a button. Reprinted with permission from Rob Provencher of Westmount Photography. That’s exactly what happens when you hire a photographer who supplies you with all your files, off the camera, and for a low, low price to you. Also known as shoot and burn photography. The truth is, you actually wasted whatever money you did invest in that ‘photographer’. Why? Most people, the vast majority, will take that CD of images, maybe post a few online, look at them a few times on their computer, maybe post some on facebook and then put it away, never to be seen again. 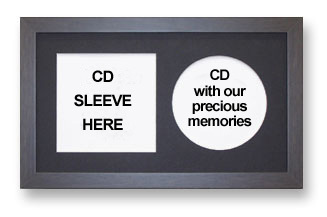 Unless of course, they do something creative with the CD. After all, just because they called themselves a photographer and owned a nice camera, doesn’t make it so. I can type. Does that make me a Hemingway? Or a J.K. Rowling? Do you want to know why we don’t sell or giveaway our files from our portrait sessions? 99% of our clients by the way don’t even ask for them. They get it. So, why do so many go for the “shoot and burn” photography? In my opinion, there are two reasons. Reason number one why so many go for the shoot and burn session- It seems like a great deal at the time, so it’s all about saving money. Who doesn’t like that idea! And number two, many don’t know any better. You can’t blame anyone for not knowing any better can you? You don’t know what you don’t know! My job is to try and explain that last one a little bit. In other words, I’ll explain where and why professional portrait photography is different, way different than shoot and burn photography. First off, a finely crafted image needs to be prominently displayed in your home. Portraits are very, very personal, and have deep personal meaning to the family members included and to their other family members and friends. Add to that an artistic element, and you have an ideal combination that lets you show off your masterpiece with pride. Homes get a lot of attention. Think about the time, the expense, the painting, the furniture, the flooring… everything that we put into our homes. We make them, well, “ours.” Right? It’s our home. Where we live with our families. So when we create a family portrait, a shoot and burn image doesn’t come into the equation, does it? Composition. This is where an artist can bring a portrait together. You don’t look for it, again, it just is. As a photographer, composition is something we know on a technical level, without over obsessing about it, but using and applying our skills to create an images that is well composed. Often, it’s an intuitive skill, but a skill that comes from years and years of photographing. Expression. You can’t fake this one. When people aren’t relaxed and having fun, it shows. It may not be obvious, but it’s there. Something just ain’t right. Color Harmony. Nothing says distraction worse than a badly harmonized portrait. Create an image that is coordinated with the proper use of background, location, lighting, posing and, of course, everyone wearing the best clothes that not only define them, but doesn’t “take away” from the colour harmony with the final image. Lighting. You might say this is where we separate the pros from the wannabees. Bad lighting, or lack of control and best use of lighting isn’t say as bad as a really bad musician trying to perform o stage when they sound awful, but in a visual sense it’s the same idea. It’s just not in your face as much. Bad lighting says “I don’t know what I’m doing. I have no or very little control over lighting. These people in my portrait look bad in this lighting, because I don’t know much, on a practical level, on how to best use lighting for overall effect and the most flattering use.” Yes. Lighting is that simple. But so are musical notes, don’t you agree? But a true master, a craftsman can bring it all together in a beautiful symphony. *treatment. The final treatment and preparation of a finely crafted portrait can be made or broken here. If you are using canvas, or matted and framed, the right placement in your home, the best size, the best cropping and colours used in framing, matting and all the details that go into the treatment. This is a completely different universe than images living on a computer hard drive, don’t you think? I consider myself an artist who has honed his skills over decades of hard work, study and application. This shows during the actual photographic session itself. My clients tell me so. They believe in me and place total trust in my abilities. This didn’t happen over night. Success is something that I need to work at constantly, without end. Always honing, relearning and pushing myself. A shoot and burn is a complete and total farce. A fraud. Let’s call it what it is, can we? I mean seriously. I am an artist, a documentarist and a visual journalist. Whatever your personal style is, and the value you place in the images you display, the albums you cherish, all your valuable memories, will show up in my ability to interpret that for you. I make it look easy. In a sense, it is. Like when a musician rips though an awesome solo, or a concert pianist astounds everyone with a beautiful concerto. They all make it look easy, don’t they? If you value and cherish your memories as works of art worthy of the skills and talents of a craftsman, then you get the difference. Sure, the investment is more. But when you compare the final outcome, you now know why.